What a relief it is to have God as our refuge. I have had many days where I simply wanted to crawl under a rock and hide. I was fearful, depressed and feeling alone—But, in those dark hours, He was the rock, he was the refuge. He is a fortress in which we can bury ourselves. He does not always respond in the way we desire—but, he always responds according to his plan. We can be assured, though that he is always with us and desires to provide an abundant life on this amazing journey. When we read these promises, though, it is also important to remember the authors typically penned them when their circumstances were abysmal. David was fleeing from his King and father in law. Paul was a prisoner in Rome. We have to remember in the times of difficulty we are refined. The seeming minor impurities within us float to the top as the heat is applied. Only as he draws off the impurities will we properly reflect his image in our lives. Help me, Lord to humbly allow you to refine me and make me a reflection of you. We are often drawn to the softer side of God. We dwell on the lambs and the beauty and his loving kindness—But 1st and foremost, God is GOD! He is awesome and majestic. He is Glorious and the epitome of power. His name is above all names. He spoke and there was light. He spoke and there was a universe. He spoke and that which was lost—you and me, became family. He breathed Life into the world, he set the sun to just the right distance to support our lives. He made creatures that were adaptable to their circumstances. He is amazing. Still such force and brilliance could make us lowly and humble creatures Our Lord. Despite his majesty—he wants nothing more than to be in fellowship with us his children. This God that moves galaxies considers nothing more enjoyable than his time with us. What’s more, he accepts us as we are! He is not surprised by our pasts, he is not dumfounded by our life events and he is not offended by our frailty. He created us, cared for us, died for us and daily waits for us to follow and fellowship with him. What does God look Like? What is God’s personality like? God knew we had those questions—so he provided the answer in the person of Jesus. Most are willing to consider Christ as a sacrifice for our sins. They are willing to consider him a wise teacher. But, the plain fact is That Jesus was GOD in the flesh. He thought like God, He acted like God, He loved like God—because He was God. He is the Supreme master of the universe—its creator, sustainer and designer. Yet, on earth he showed just how loving and personal he was. He healed the sick fed the hungry, raised the dead and redeemed the castaways. He took those who were rejected by most ad made them the standard bearers for a movement that has persisted for two thousand years. Still, today, he wants us to know him. He wants us to see him as he is. He wants our relationship to be personal. If one is willing to surrender, he wants us to be free. He loves us and laid hos authority as God to the side and even laid down his life—so that we could know him and send eternity with Him. Thank You Lord—for revealing yourself to us so that you can have a relationship with us! In the season of Christmas, I am excited to study about the Lord Jesus. Who He is and why he came. What better way to begin than to look at John 1-In the beginning was the Word. The Word is a bold phrase. As God touches me this morning, I am reminded that He said, “Let there be light and there was light.” He spoke creation into existence. He breathed life into men and provided for them the greatest collection of life and beauty imaginable. He gave them free choice to live and to love. His heart broke when they totally missed what made him God. They wanted knowledge and power—when he offered peace and immortality. So he was faced with the difficult choice every father makes for his children—what can I do to protect and redeem the ones I love. 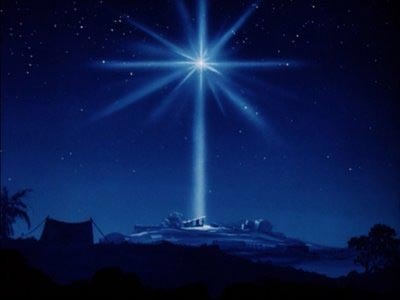 So God—The Word—became flesh and became a piercing light in the darkness. His light draws many, but it also repels those who live comfortably in the dark. He came to overcome the darkness and redeem the lost—Thank you, God for your coming! As it is the week of Thanksgiving, it is a great time to reflect on the many reasons we should be thankful. Over the last several years many of us have experienced loss. Jobs, health , family or some other precious things in our lives have been taken. As that has happened, it becomes more difficult to focus upon all he has provided. Shelter, food, friends and family that remain—financial provision often from the hand of God all are things we are to be thankful for. God has been kind to our family this year. We have seen great loss but even greater provision from the hand of the Lord. We are truly thankful for all he has done. We thank you Lord—for your mercy and provision for our lives. How willing are we to believe that our journey is God’s to direct. Joseph’s Brothers committed some pretty horrific actions that left Joseph a slave and separated from his dad for most of his life. Joseph’s dad now dead—left Joseph and his brothers to contemplate the past acts and decide what happens in the future. Joseph had grown up trusting God and as a result had led Egypt and the World through the worst Famine ever. The Brothers, lived their lives on their own and were less trusting of God and his plan. Joseph had long ago forgiven them and moved to make their lives better—that was not going to change—the Brothers, like the world simply could not comprehend the unconditional nature of the love and forgiveness they were being shown. In our lives, we have to realize God does love us as unconditionally. We are not perfect, we make mistakes and do things that are simply sin. But as God forgives us, we are called to forgive others. As we do, we are demonstrating the very nature of the Father and his impact on our lives. We are also demonstrating our faith in him by trusting his plan is always right. We will find a greater freedom than we could ever build for ourselves—when we fully rely upon God! As Jacob reached the end of his life, God showed the nature of his sons and a vision of their future. Of his children, Judah was God’s choice to bring the Savior. His Life demonstrated leadership and his lineage would as well. The royal line would come from Judah, the Lord came from Judah. Once again, God’s plan, God’s way. We seek him with our lives and follow him even though the plan seems impossible. In exchange we find peace in his word and follow knowing that we will be with him for eternity. In the meanwhile, through the circumstances of life, we see his plan threaded through and we are grateful for his provision and protection. We simply hope he allows us to see his hand as we journey. God does not answer the question why, but he does answer the question of who has our best interest at heart. Help me Lord to realize your plan is best.